You've probably seen ice cube trays like this in all types of shapes, from airplanes to superhero logos. While these trays have become commonplace, they symbolize how the material used to make them – silicone – has transformed our kitchens over the past two decades. Silicone, also known as polysiloxane, is a polymer – the word scientists use for plastics – that's known for its rubbery feel. It also has features that other materials simply don't have. For example, Mars rovers have silicone parts and coatings because the material is able to withstand extremely high and low temperatures, all while holding its given shape. There are other flexible polymers that can do this, but they tend to be a bit sticky to the touch – which isn't the best quality for objects that come into contact with food. Also, silicones – like most plastics – have low heat conductivity, which means they don't transfer temperature well. 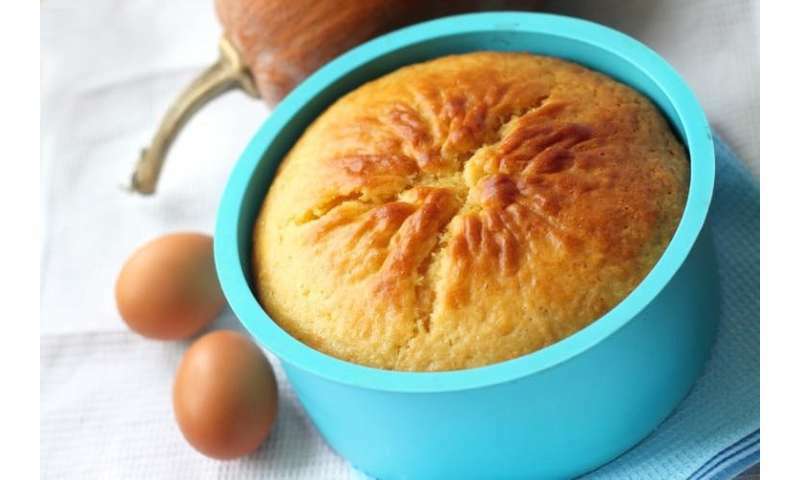 This makes them ideal for muffin forms, loaf pans and Bundt cake pans. You won't burn your fingers as you're popping out your baked treats. Safety concerns about silicone breast implants cropped up in the 1980s. Some patients who had received implants complained of fibromyalgia, arthritis and other symptoms. The symptoms seemed to go away when the implants were removed, and people suspected that silicone gel was leaking from the outer shell. This suspicion couldn't be proven, but the public started to become wary of silicone implants, while the plastic came to viewed as a dangerous material. There wasn't much of a market for products that used it. They told us that they wanted to reboot silicone's image – to feature it in an array of household products – and asked us for suggestions. I don't remember the specifics of what we told them that day. 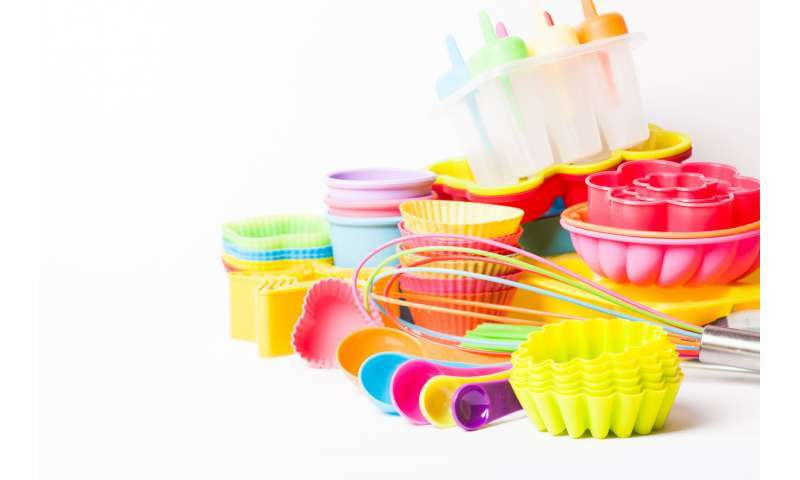 But I wasn't surprised when, as the years passed, I started seeing more and more silicone being used for kitchen products. It may not have initially been marketed as a silicone product, due to the bad press the material had received. Yet it makes perfect sense for kitchens, which are like mini laboratories – the science and technology centers of a household. When you stir biscuit dough, you can grip a silicone mixing bowl much more easily than its slippery porcelain counterpart. The super-sticky dough is easier to clean off a silicone stirring spoonula and a silicone mat, which you can use for rolling out and cutting the rounds. And the bottoms of my biscuits don't brown as much when using a silicone baking mat. I often think about how silicone continues to have a range of important applications, whether it's in outer space, in motor components or in emergency rooms. So each time I take out my rubber ducky ice cube tray and pop out some cubes for my seltzer, it's a nice reminder of how an extraordinarily complex material can play a little role in day-to-day life.